Noctua's NF-A12X25 series of fans took Noctua almost five years to develop. They are crammed with features which when all added together achieve performance like no other 120mm fan. They even outperform many 140mm fans! 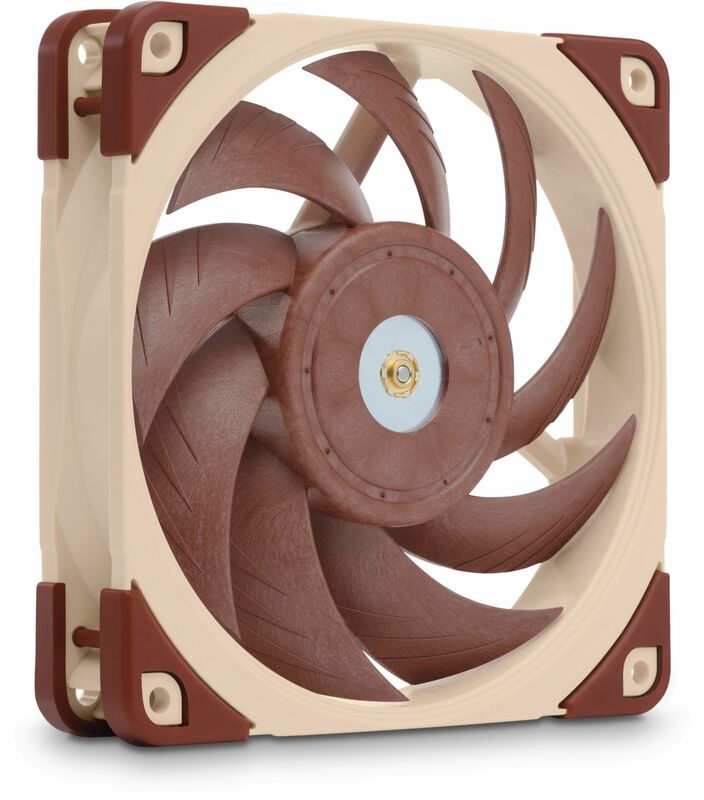 The NF-A12x25 is a highly optimised next-generation 120mm fan that integrates Noctua's latest innovations in aerodynamic engineering in order to achieve an unprecedented level of quiet cooling performance. It takes state-of-the-art technologies such as the AAO (Advanced Acoustic Optimisation) frame or Flow Acceleration Channels and combines them with a record tight tip clearance of only 0.5mm. This is made possible by using the novel Sterrox liquid-crystal polymer (LCP) compound as well as a metal-reinforced motor hub and axis for ultimate precision. Following the approach of Noctua's A-series, the NF-A12x25 is a true all-rounder that yields superb results in all types of usage, regardless of whether it's in low-impedance, airflow-oriented applications such as case cooling, or high-impedance, pressure-demanding scenarios such as on heatsinks and watercooling radiators. Providing 1200 and 900 rpm speed settings via the supplied adapter, the ULN (Ultra-Low-Noise) version is tailor made for serious silent enthusiasts who demand super-slow running speeds and utmost quietness of operation. 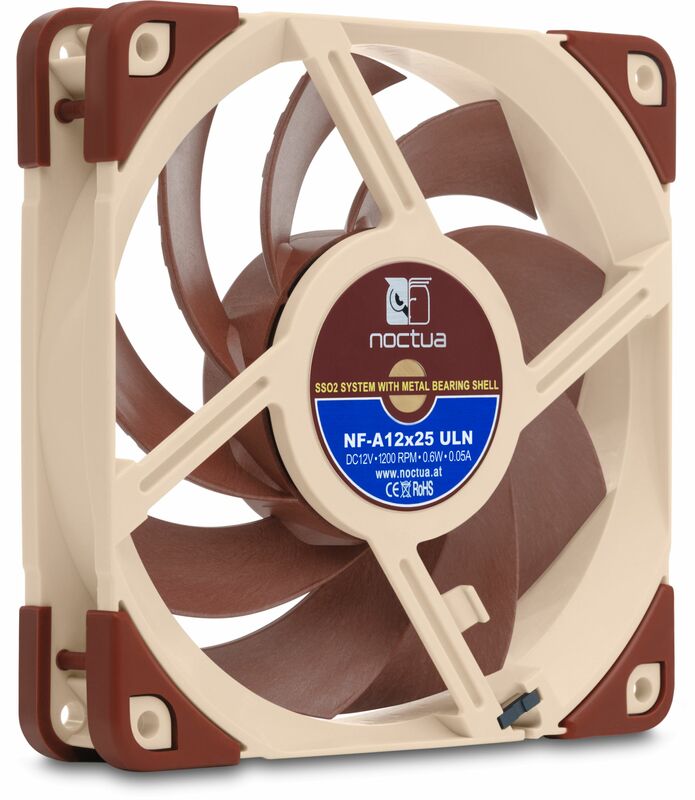 Topped off with exceptional running smoothness, Noctua's reference-class SSO2 bearing, a rich bundle of accessories and 6-year manufacturer's warranty, the NF-A12x25 is a premium-quality product through and through. Its superior efficiency, cutting-edge construction and pioneering materials make it an elite choice for the most discerning demands. 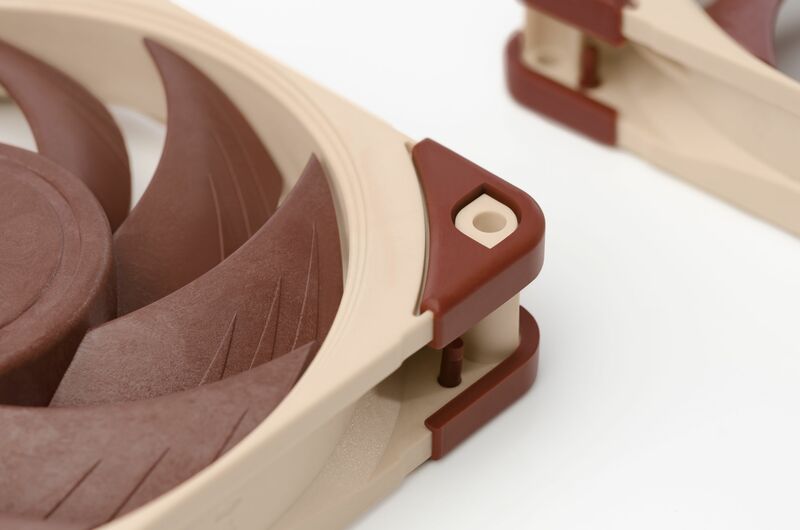 Noctua's 120mm fans such as the NF-F12 and NF-S12A are renowned as being among the best on the market and have received more than 400 awards and recommendations from the international press. With its further improved efficiency and novel, state-of-the-art engineering, the NF-A12x25 represents another step up in performance and manufacturing. The NF-A12x25's sophisticated aerodynamic design allows for a pressure to airflow (P/Q) curve that is extremely strong in the critical mid-section. This means that the NF-A12x25 is a true jack-of-all-trades with excellent performance in both static pressure demanding and airflow demanding applications. The centrepiece of the NF-A12x25's motor hub is made entirely from steel and the axle mount is reinforced with an additional brass structure. In combination, both measures ensure ultimate precision and increased stability in the critical hub area. 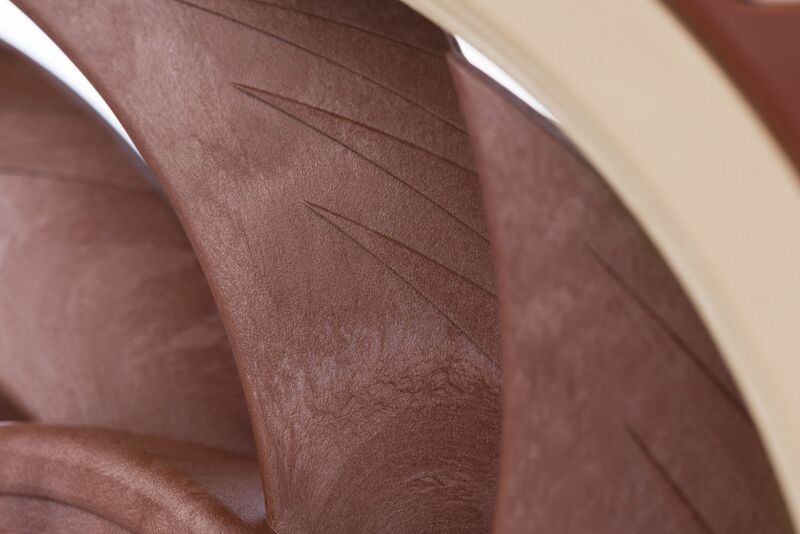 The NF-A12x25's impeller is made from Noctua's novel Sterrox liquid-crystal polymer (LCP) compound that features extreme tensile strength, an exceptionally low thermal expansion coefficient and damping characteristics that are ideal for reducing resonance and vibration phenomena in advanced fan-blade designs. Noctua fans are renowned for their impeccable quality and outstanding longevity. Like all Noctua fans, the NF-A12x25 features an MTTF of more than 150,000 hours rating and comes with a full 6-year manufacturer's warranty.